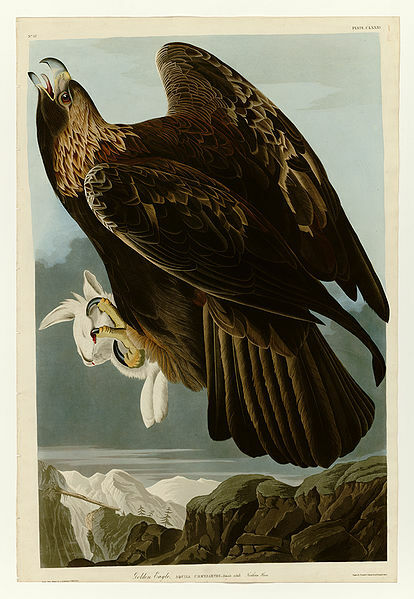 Audubon was perhaps the best known illustrator of natural history in the nineteenth century. He was born in Santo Domingo (now Haiti), the illegitimate child of a French planter and sea captain and his Creole mistress. His father took him to France, where he remained until 1803. He then fled conscription in Napoleon’s army by moving to Pennsylvania. A series of failed businesses left him briefly jailed for bankruptcy in 1819. John Keats called him “dishonest” (September 1819) after Audubon lost money from the poet’s family inheritance on a failed riverboat scheme. Audubon’s hobby of bird illustration became a serious undertaking after he met Alexander Wilson, author of American Ornithology (1808-14). In the early 1820s Audubon traveled through the American south, collecting specimens and producing drawings. Throughout his life, Audubon spent countless hours in woods, fields, and swamps: finding, killing, and collecting specimens. Most earlier bird artists had used only skins to create their illustrations. 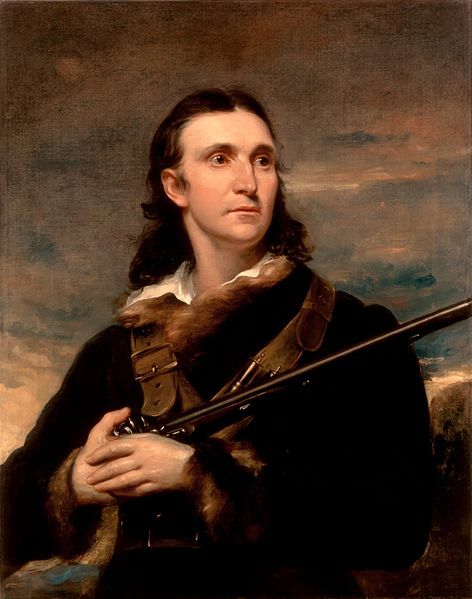 Audubon used some skins, and he occasionally painted from life, but his typical method was to hunt birds in the morning and then draw from their still warm bodies, before the colors had faded. He also wired dead birds into realistic postures that increased the veracity of his images.His depictions of birds hunting, feeding, defending their nests, and rearing their young contributed to a new sense of continuities between human and nonhuman life. His passionate and relentless pursuit of new species and new naturalistic settings for his drawings and paintings led to a new sense of the range and richness of American flora and fauna. His ability to combine his skills as a natural historian with the emotional energy of his art were one of America’s greatest examples of Romantic natural history. He was among the first to lament the loss of avian habitat and the wider impact of humans on the natural world. Within several decades of his death, a number of the species he had painted were gone forever: the passenger pigeon, the Carolina parakeet, and the Eskimo curlew among them.